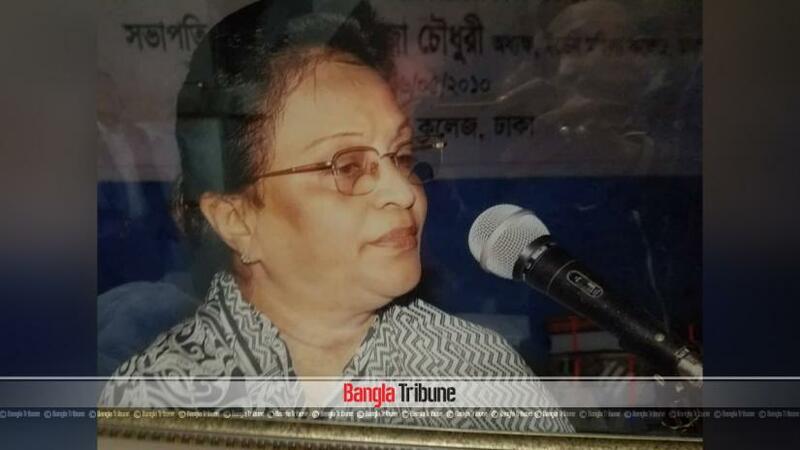 Forensic report has found that Eden Mohila College’s former principal Mahfuza Chowdhury Parveen was strangled to death by two or more people. “Forensic evidence indicates that the victim was murdered by two or more people,” Head of Forensics at Dhaka Medical College Hospital (DMCH) Sohel Mahmud told the media on Monday (Feb 11). Parveen was found dead by her husband on Sunday (Feb 10) night at their flat in Sukonya Tower at the capital’s Elephant Road. The autopsy of Mahfuza was performed on Monday (Feb 11). The victim’s Ismat Qadir Gama lodged a case with the New Market police over the murder around 11am Monday. Maruf Hossain Sarder, deputy commissioner of Dhaka Metropolitan Police (DMP) Ramna Division told Bangla Tribune. Three people including two housemaids Swapna, 36 and Reshma, 30 have been named in the case as accused. “The suspects are on the run and police are trying to hunt them down,” Sarder added. According to the relatives of the victim Swapna and Reshma started working at Mahfuza’s home in January. Swapna hails from Kishoreganj while Reshma is from Faridpur. The victim’s husband Ismat Qadir Gama, a former DUCSU general secretary, is currently serving as the vice-president of Muktijoddha Command Council.